A New York Police Department report released Tuesday, produced from publicly available and investigative sources, underscored the relative ease with which the attack was carried out as well as the chaotic law enforcement response. Four or perhaps five gunmen, who still haven't been identified, carried out the attack, law enforcement sources say. They were armed with hand grenades and AK-47-style rifles, which are cheap and readily available in East Africa. Their travel and weapons added up to under $5,000, U.S. authorities believe. While authorities have worried for years about the vulnerability of malls and other public gathering places and have conducted drills based on such scenarios, these types of attacks are nearly impossible to prevent, officials say. Since the 9/11 attacks, U.S. authorities have focused on stopping the funding sources for terror organizations. The Westgate attack underscores how little money it takes to carry out a deadly, high-profile attack, making the work of U.S. and other authorities that much harder. The 9/11 attacks cost al Qaeda between $400,000 and $500,000. The 2002 Bali bombings are estimated to have cost about $50,000. The Madrid commuter train bombing in 2004 cost between $10,000 and $15,000. A year later, attackers spent about $2,000 to target the London transit system. Ali Soufan, a former FBI agent who investigated the East Africa bombings, says a cheap attack such as Westgate is among the toughest for authorities to thwart. "An operation like this is very easy. The cost is really, really cheap," Soufan says. Soufan and other experts on terrorism say financial safeguards put in place in recent years are intended to stop funding to terror groups. But detecting the smaller sums that could be used for an attack are increasingly difficult. In the case of Al-Shabaab, the Somali diaspora is believed to be among the sources of funding now that the group has been dislodged from controlling territory in Somalia, where it used to collected taxes. The NYPD sent a team to Kenya to gather intelligence and work with local investigators proving the attack. Their report says the attackers had every intention of surviving while killing as many people as possible. The report says that despite initial information from Kenyan officials claiming 15 shooters were in the mall, it now appears that as few as four men were inside killing at random as petrified shoppers ran for their lives. Some were even hunted down after trying to hide inside storage closets. NYPD Commissioner Ray Kelly told reporters Tuesday that "we don't know with certainty how many attackers there were. We believe there were four shooters [with the] possibility that there may have been people assisting in driving them. We don't know if any of them got away." The report says the men used cell phones to communicate with each other after they split up to carry out the attack. A witness overheard one of the gunmen on the phone telling another to come inside the mall, according to the report. It's also believed the men used their cell phones to communicate with people possibly associated with the attack, but not inside the mall, the report says. As the men worked their way through the mall, Kenyan police started responding to what they believed was a robbery at the mall and exchanged gunfire, wounding one of the men. That man, the report says, was seen later on camera inside a storage area looking for a way to escape. Among the evidence investigators recovered were four cell phone SIM Cards inside a car of which the men were seen inside at the mall. Those cards were activated three days before the attack in Nairobi, according to the report. The gunmen, whose bodies have not been found and have not been publicly identified, might still be alive, the report says. In their initial claims, Kenyan officials said that the men likely died inside the mall, but no DNA or other evidence has been found to support that, the report says. The report was made public Tuesday to a group of business and security leaders in New York City to help illustrate the lack of communication and poor planning that went into the police response. this is profilings FBI (military) combind with illegal unconstatutional domestic spying on jailed targets by the Military (CIA,DHS ect. 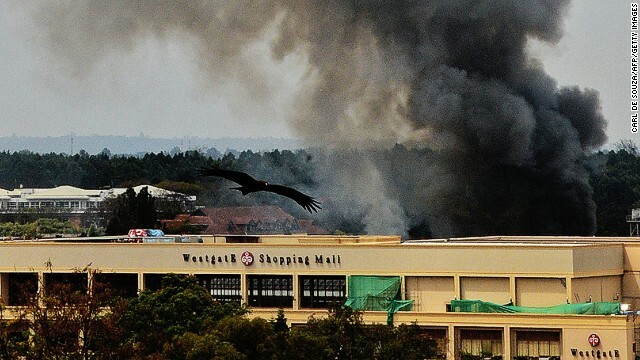 CNN please stop bringing back Nairobi Mall's bad memories, heinous crime committed by terrorists swines. This is a direct consequence of ultimate gun control. The gunmen knew they would be unopposed, so all they needed was a few dedicated people with light weapons and look what they did. But then again if we wouldve controlled the procurement of military grade weapons in the very beginning we probably wouldnt have this problem. Musliums love being attacked by killer dogs that have their voice box removed and dressed in sound surpressing dog booties after they dogs are stuffed through holes in the walls. How much money does that cost the filthy rich jew/arab mall owners...thats not a question. @ Ytyuk Nstyurthj – Please get professional help. There are particularly few Jew or Arabs in Kenya. You are clearly a bigoted schizophrenic with dog = God delusions. "Ali Soufan, a former FBI agent who investigated the East Africa bombings, says a cheap attack such as Westgate is among the toughest for authorities to thwart. "An operation like this is very easy. The cost is really, really cheap," Soufan says." If all you are looking for is a financial signature, then yes, it will be very difficult for you to detect such attacks beforehand. But to go ahead and make an umbrella claim about an attack like this being "very easy", simply because the weapons happen to be inexpensive, is to demonstrate a blatant misunderstanding of hostile planning, a misunderstanding that is probably a result of the person's biased approach, since his only concern seems to be with investigating the financing of this attack. There is, however, more to coordinated multiple attacker operations than just financing. "The Entomolagy of a Muslium terrorist & their sub-Species." The newest latest Prophet (-N-S-A-) said: "When I say something You do somthing; when I say something They do somthing.". The newest latest Prophet (-N-S-A-) wrote: "They hate more of Themself than ever Their Targets." The car companies drag their feat to sell your sole in China. hiring 40 year old Anti-American sociopaths to top positions of power which will be used to destroy your life not thiers. The great digital prophet (-N-S-A-) wrote: "Continue to the search for the truth". The simple truth is you can't stop a properly motivated religious fanatic. It doesnt matter if they just wreck tons of cars , or drive boats into bridges , or pick up guns and mow people down, the bottom line is 99.9 % of this stuff is caused by ISLAMIC religious fanatics. If you could push a button and instantly remove every islamic person in the world, you can do what ever you like with them for this hypothetical, they just cant be within 2 solar systems of the Earth. Guess what? Most terrorism would cease to exist (on earth) . Enough so that striping nekid to fly on a plane would not happen. The problem infringing on our freedoms and way of life is Islam. Islam is the gateway drug to gihad. If the world declared it a cult and followed the example set recently, granted it would probably be a war because we let this fester so long but right now chances are life would go on and we would stomp them. I keep seeing video of caravans of islamist gihadis driving around toting guns in pickups 25 cars deep. I can't help but wonder where the drones are. One cluster shot and theres 150 terrorist attacks that dont happen. Amazing that you can construct complete sentences and yet be so totally ignorant. More people in the USA have been killed by Christian domestic terrorists than by Muslim terrorists. This includes 9/11. Crack open a book once in a while. How can you possibly blame any rational person for being angry because the UK and USA have run a decades long pogrom of murdering democratically elected leaders and imposing Fascist dictatorships. Dictatorships which have slaughtered tens of thousands of unarmed civilians including children. Don't forget that Saddam Hussein was our puppet right up until he invaded Kuwait. Quite literally millions of people have fled South and Central America to get away from USA backed dictators. Most of them ironically, have come here to the USA. INCUBUS PROGRAM OPERATION INFORM HAKED CONTRACT SERVICE. Your post is so schizoid that even crazy people don't have the ability to make sense of it.